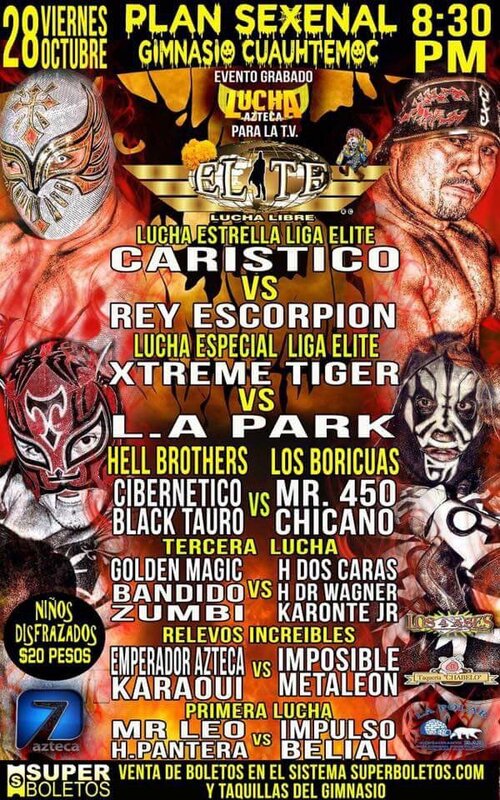 Mr. 450 pinned Taurus and Cibernetico got counted out (and blamed the ref for counting too fast.) 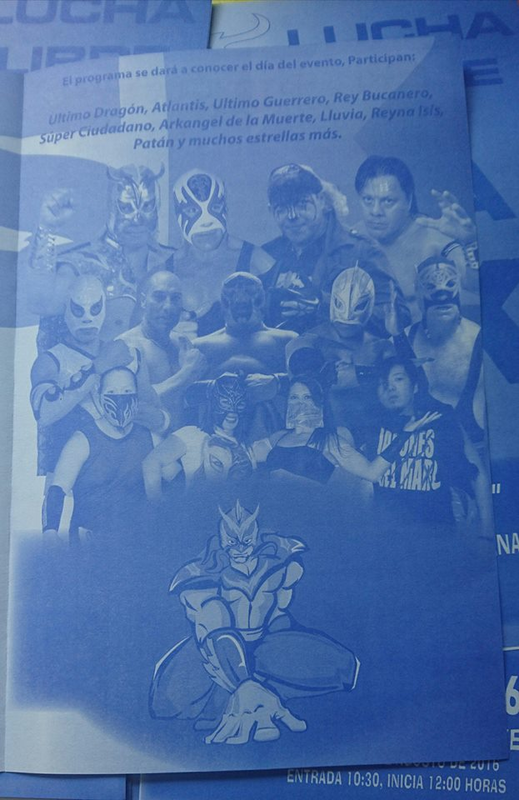 The Puerto Ricians are going as "Los Ilegals" - Chicano was the masked El Ilegal in AAA. Escorpion had his face painted up as if he was on the Dia de Muertos shows and won with the Aguijon Mortal. 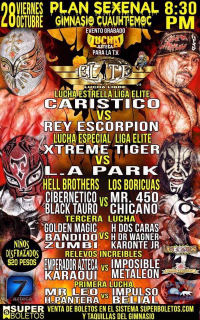 Escorpion wants a title match and Caristico accepted backstage. 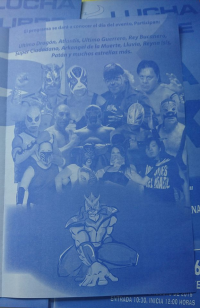 3) Dowki & Hanaoka b Tigre Rojo Jr. & Tigre Rojo Sr.
2) Daisuke Hanaoka, Douki, Íkaro b Fiero, Tigre Rojo Jr., Tigre Rojo Sr.
Bestia Magnifica I, Patan's brother, was remembered before the match. Dragon Rojo switched places with Canelo Casas. 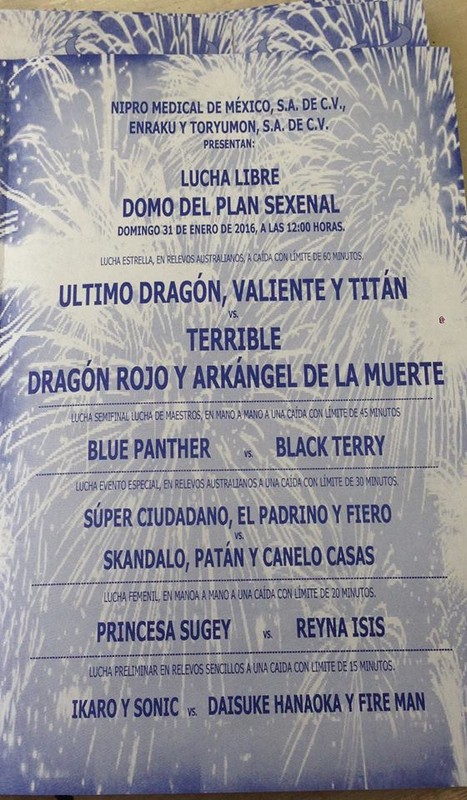 Solar replaced Blue Panther. Double pin finish. 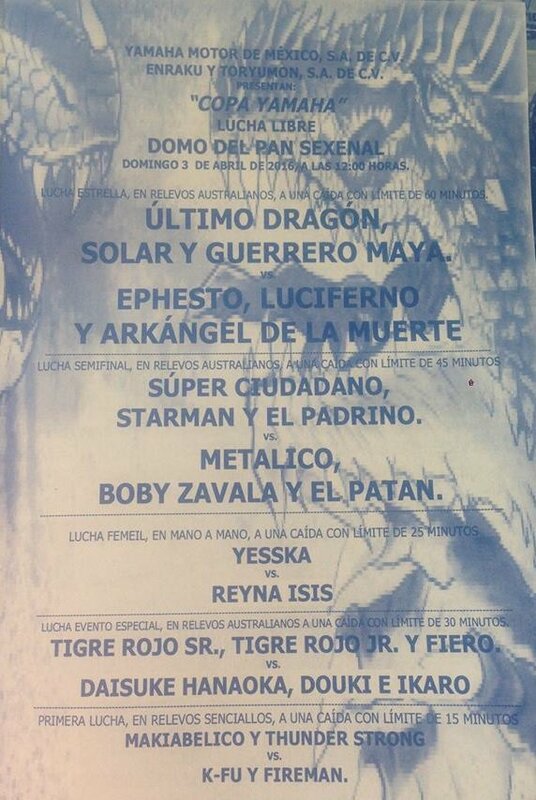 Canelo Casas switched places with Dragon Rojo. 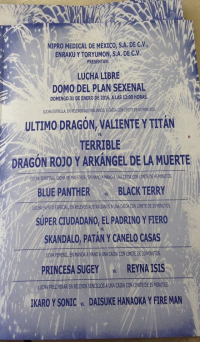 Angel de Oro replaced Valiente.